Newbie - What's a CL site ? I have seen a few abbreviations (?) that are difficult for someone like me (total newcomer) to understand. Is a CL a code for full service pitch ? Interests:Caravanning, caravanning oh and caravanning. A CL is a Certificated Location, a system run by the Caravan & Motorhome Club where a land owner has five caravan pitches, sometimes behind pubs, on farms etc. They can be as basic as a field with a tap or more. There are some very nice ones. 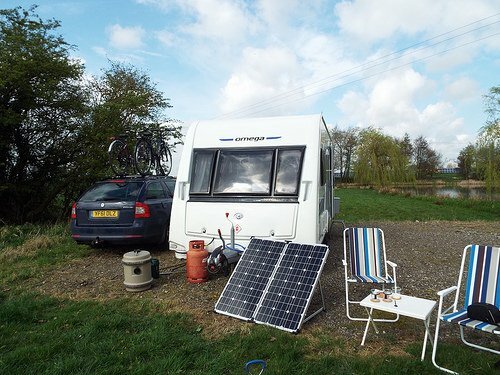 The Camping and Caravanning Club does similar but they are known as CS’s (Certificated Sites). A CL site is Certicated Location. 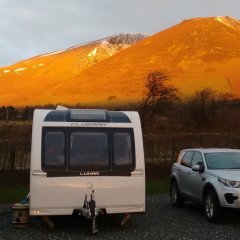 It has been certified or licenced by the former Caravan Club now known as the Caravan and Motorhome Club. It applies to a privately owned site limited to Five pitches which can only be used by CaMC members. The sites can vary from in provision of facilities. At its basic it could be a pitch in a field or someones garden with only fresh drinking water supply and a means of disposing of chemical waste. At the other end of the facilities provision could full serviced pitches with drinking water piped to the pitch, grey waste drain, and 16amp EHU. Also on site could be a swimming pool or fishing lakes. As an example this link is the result of a search for Pembrokeshire wheer you can look at the facilities available at each CL. Why is abbreviation such a long word? Why doesn't abbreviation have an abbreviation. Basic CL £6 a night, water tap and toilet empty point, free power from the sun and just use gas. Just been on a CL for a week! Hard standings. Water etc on each pitch and an ablutions block that would put most people’s bathrooms to shame. Amazing views, and just £16. 00 a night! If we travel hours to get there we should insist on good shower blocks. Not wooden pre-war tat. You have the main 2 clubs. As for star reviews, Not being funny the more stars you get the better you are. You might need to do more research on a particular CL if you want good shower blocks, as many CL’s are no more than a field with a stand pipe, with access to a cesspit to dump your toilet waste, n the other hand some CL’s are better. For consistently you may be better sticking with either the “Club Sites” or commercial equivalents. It might help to understand things by stating that the existence and 5 van limitation of these various CL, CS and the like sites are the consequence of a very valuable twist in UK law. This allows side stepping of normal planning law that would otherwise require formal planning consent or limit the yearly duration of camping to 28 days. It operates through Defra who if satisfied with the credentials of a club like group gift them the right to exempt land owners to run these 5 van sites under the wing of the club providing they keep to the numbers rule, without the requirement to obtain full planning consent. IMO these are a real asset to the hobby, but the 5 van limitation virtually means they can't be anything but a marginal money making venture if that, so their existence is "fragile". Things are severely inhibited that where they are on farmland for example, that the whole is vat registered then vat has to be included in the fee. Those on land, your garden for example where you are not vat registered come not inhibited by having to include vat. One persons "valuable twist" is another's legal specific exemption. TheOP's question merely relates to a particular acronym. He/She is not going to tell us !! One further point; you will have to be a member of the C&CC to use CS sites and/or the CMC to use the CL sites. We are members of Bothe main clubs and tend to only use CL/CS sites as they represent much better value for us than the club sites. It could be any one of the 589 CLs which have both WCs and Showers. Acronym is much shorter . As for the shower block we prefer to use the caravans facilities rather than the public ones, however we find a lot of CL sites have exceptionally clean ones as the site caravaners seem to appreciate the cleanliness and clean up after themselves rather than leave it to the owners or caretakers. What's a CI. ? It's for many, the only reason for a camper to Join the CMC Ltd. Much better than the regimented and boring CMC main sites. As others, I read the OP's title question, "What's a CL site ?" somewhat wider. Sadly, we are too few and of those few there are even those that want all the facilities of a main site, but coming at a cheaper price, hence the ever dying numbers of 5 van sites of both main clubs we have. Are the number of C&MC CLs actually dropping? It's been about 2,500 for three decades to my knowledge. Someone asked this question here, or another forum, last year and I believe that the figure is roughly the same with drop outs and new ventures about level. I haven't used a CL except for one night in the last 30 years. No idea how much patronage they have. I do have one earmarked for when I next visit Congleton/Macc area at, I think, £18 a night. That will probably be around two years hence as I don't tend to revisit areas frequently.